Jasmine & Onyx: Mab Graves' First Dunny Drops Today! 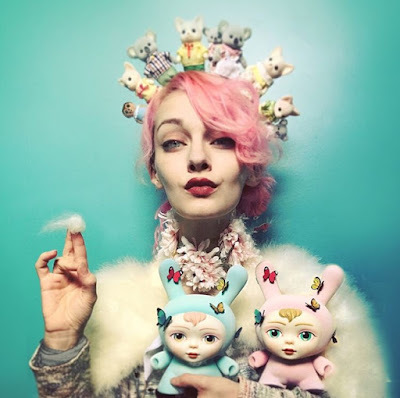 I remember when my friend, Stephanie Takemoto , introduced me to Mab Graves' work. Her big-eyed children, innocent and whimsical, and all painted so small. We would sit around for hours looking through her work. Some of her works-in-progess would be documented in short 10 second clips. "Is she really painting with a paint brush that looks like it is one strand thick?" It appears so and the results are amazing. Seriously I can look at her painting process all day. 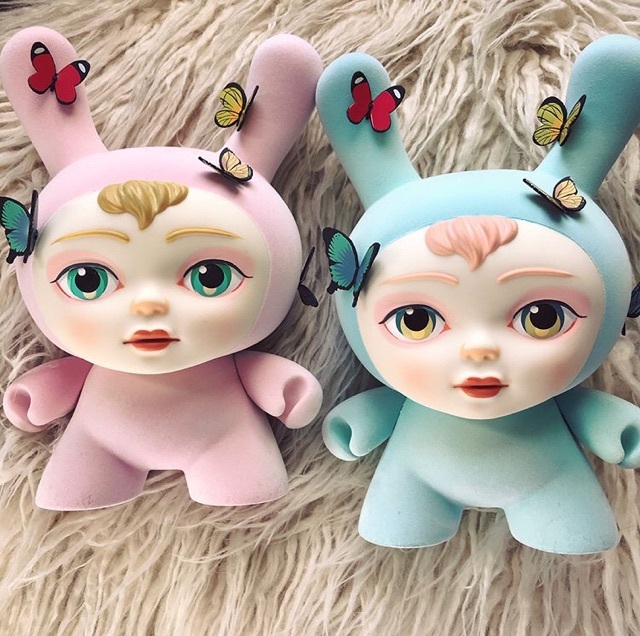 What is exciting today is that her first ever Dunny collaboration with Kidrobot drops today! Look how adorable they are. One of the best parts of this collectable: it's flocked! Now as of 11am Pacific Time, the pink dreamer has been sold out but you can find other outlets to find it. You can go to kidrobot's site and order the more limited edition blue dreamer. 200 of them has been made and you can only get it at the site!